Even though the fate of the Deferred Action for Childhood Arrivals program remains uncertain, it has not deterred young Dreamers from pursuing scholarships to colleges in the United States. "In the last few months, we have seen a sharp uptick in the number of applications for our college scholarships. 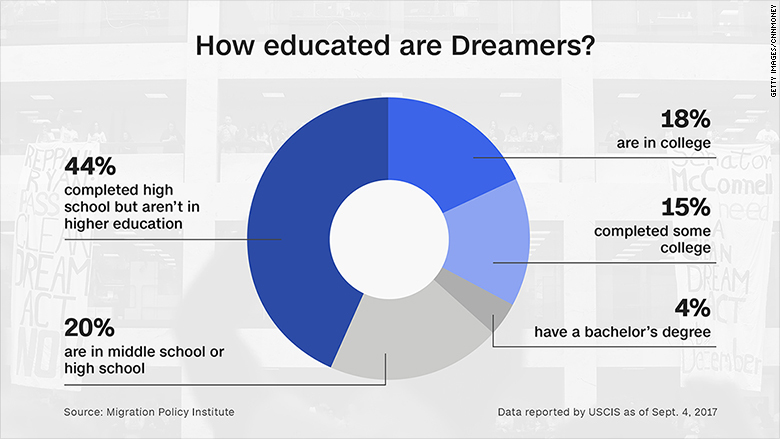 It's even surprised me," said Candy Marshall, president of TheDream.US, a nationwide scholarship fund that helps DACA status immigrants attend one of 75 colleges in 15 states. Marshall said Dreamers with DACA protection seem more resolved than ever to pursue a college education. "We feared this climate of uncertainty might have a chilling effect, but it's been the opposite," she said. 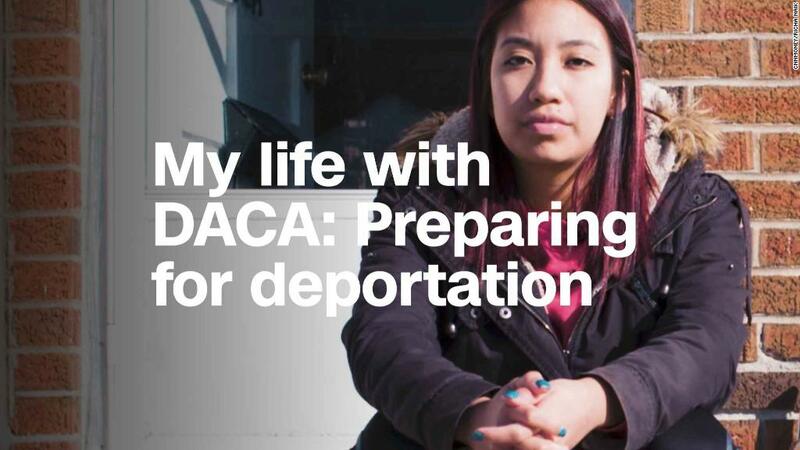 DACA has enabled nearly 689,000 young immigrants who were brought to the United States as children to come out from the shadows and openly attend school, get work permits and driver's licenses without the fear of being deported. President Trump announced the end of the DACA program last fall, giving Congress a March 5 deadline to come up with an alternate solution. But that deadline became moot after two separate district courts ruled that the administration must keep accepting renewal applications for the program, effectively putting the termination temporarily on hold. Because DACA doesn't give Dreamers legal permanent status, or a path to citizenship, they aren't eligible for federal student aid. Therefore, many either self-fund their educations or rely on private donors and scholarships. TheDream.US is the largest scholarship fund of its kind in the nation. It fully funds the college education of 800 to 1,000 DACA scholars each year. TheDream.US said 11,655 applications have been started for the 2018-2019 academic year and nearly 4,000 have been completed and submitted. "This is a record number," said Marshall. She said some applications don't get fully completed because applicants realize the participating schools are too far away to commute to or they don't qualify for in-state tuition. Amazon (AMZN) founder Jezz Bezos and his wife MacKenzie donated $33 million to the fund in January. Other notable donors include the Bill & Melinda Gates Foundation, Pierre and Pam Omidyar, the Chan Zuckerberg Initiative, and the Coca-Cola Foundation. Since it first launched in 2013, the organization has given out $103 million in scholarships to Dreamers who attend its partner colleges, including Arizona State University, The City University of New York, Colorado State University, and Phoenix College. Southern New Hampshire University recently partnered with TheDream.US to launch a $20 million fund that will grant scholarships to 1,000 DACA recipients nationwide over the next five years. The program, which offers both associate and bachelor's degrees, enables students to do much of their course and project work online and offers personalized coaching, advising, and other resources. CNNMoney spoke with the first recipient of Southern New Hampshire's scholarship. "I've always wanted to go to college. I want to become a nurse and take care of children," said the 17-year-old high school senior, who asked CNNMoney to remain anonymous "I babysit for two families and I love kids." She hopes to pursue an associate's degree first and then a bachelor's degree in nursing. 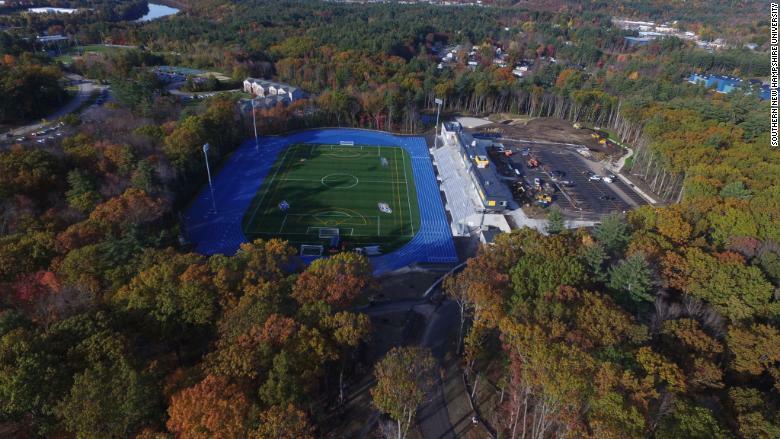 Southern New Hampshire University has established a new $20 million scholarship fund for DACA status students. Her parents brought her to America from Brazil when she was three years old and they remain undocumented. "The main reason my parents brought me to America was to give me a better life. If I have to work 10 times harder to prove that I earned this scholarship, I will," she said. However, she said she worries about her ability to remain in the U.S. after her DACA status expires in August. If the court ruling stays in place until then, she might be able to renew her status for another two years. 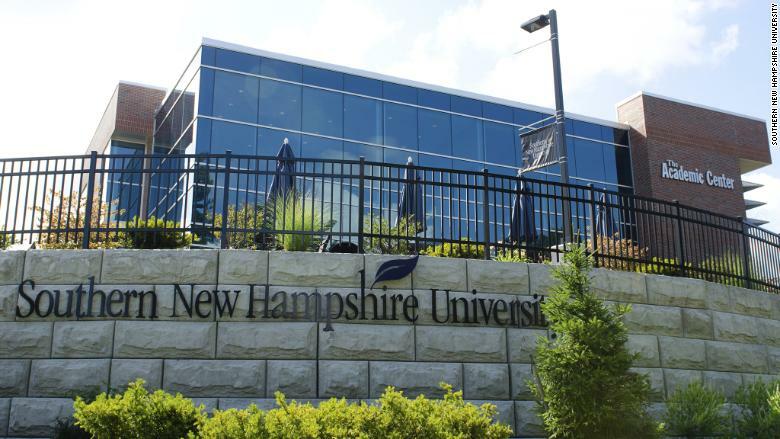 Southern New Hampshire University's scholarship fund will help 1,000 Dreamers afford college over the next five years. "Dreamers are being used as a political football. But we are ready to place our bet on these Dreamers and invest in their future," said Paul LeBlanc, president of the private, non-profit university based in Manchester, New Hampshire. LeBlanc said the online learning model is particularly well-suited for Dreamers, many of whom have to work full-time to make ends' meet or take care of parents and siblings. The university currently has about 100,000 students enrolled, with most in full online programs. In the event a student is unable to remain in the country, LeBlanc said the university would help the student continue the program from wherever they are located. "As an institution of higher education, we are in the business of hope. We have hundreds of thousands of [these] young people who have known no country, but the U.S.," said LeBlanc. "Among them might be the next brilliant scientist, general, community leader, inventor, or entrepreneur. We must give them the tools to realize their potential. We cannot squander this talent."